ISLAMABAD: In occupied Kashmir, Indian troops in their unabated acts of state terrorism martyred thirty-nine Kashmiris including a woman during the last month of October. According to the data issued by the research section of Kashmir Media Service, five of those martyred were killed in ‘fake’ encounters. The killings in the month widowed three women and orphaned five children. 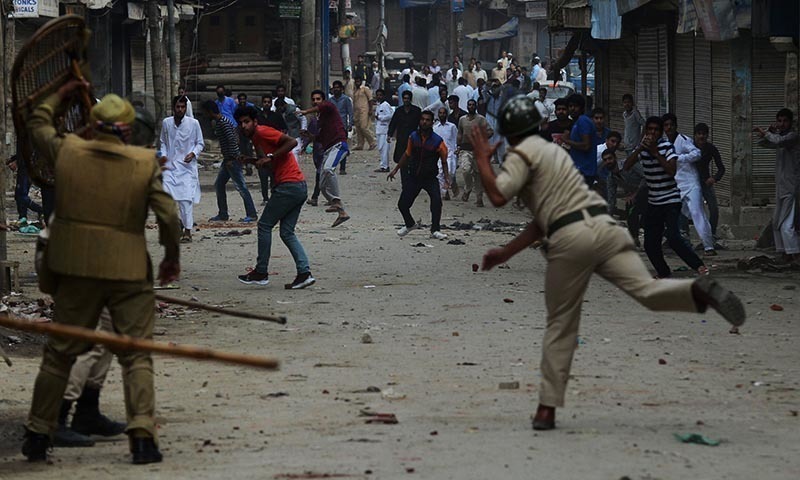 Three hundred and seventy-nine people were critically injured due to the use of brute force and firing of bullets, pellets and teargas shells against the peaceful demonstrators and mourners by the Indian army, paramilitary and police personnel, according to the data. Two hundred sixteen civilians, mostly youth and Hurriyat leaders and activists, were arrested during the month. The troops molested, abused and disgraced eleven women after barging into the residential houses and damaged eighty-four houses during cordon and search operations in the period.